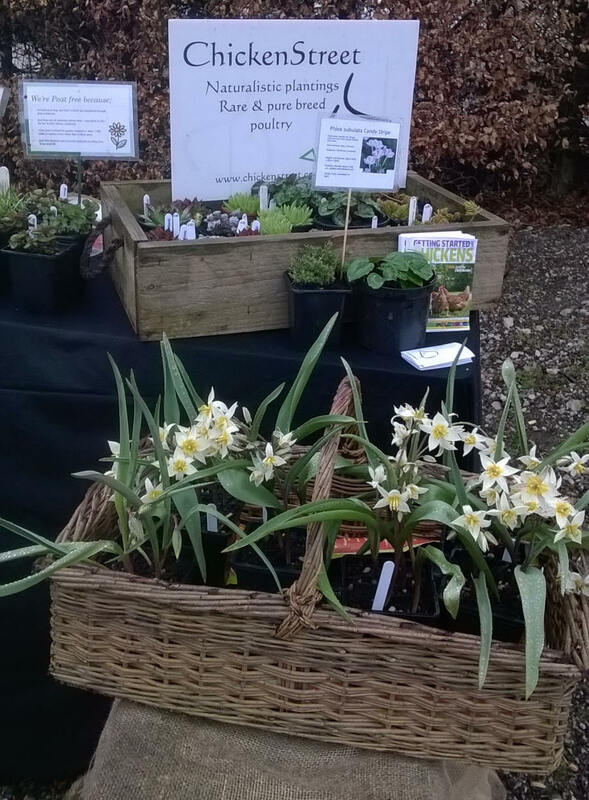 All our plants are home grown, either germinated from seeds or propagated from cuttings taken from our existing stock. All are grown in peat free composts. We are constantly looking for new alternatives to peat and have trialed many over the years. Only organic or natural methods are used for pest control, we re-use pots recovered from recycling schemes locally, and any plastics that go beyond practical use are passed on to a specialist plastics recycler to be made into compounds for drainage pipes etc. With this mind it seemed only natural for us to fall into the 'naturalistic planting style that we have, and this led to us expanding beyond the boundary of the garden and on to specialising in perennial grasses, native species, and easy care herbaceous perennials. Coincidentally this proved to be an ideal compliment to chickens in the garden, and just goes to show that poultry proof planting is possible and it's not all dust baths and dock leaves!